Otoplasty, or ear pinning, is the surgical reshaping of ears, usually to decrease their prominence. In Ontario, for patients under the age of 18, this procedure is covered by OHIP. For those over the age of 18, otoplasty can still be performed, however, the cost of the procedure falls to the patient. There are incisionless techniques and surgical techniques to re-shape the natural folds in the ear and to pin the ears back. Dr. Brace performs otoplasty on both children and adults. He is an expert and can guide you through the process and help you understand what to expect during and after the surgery. 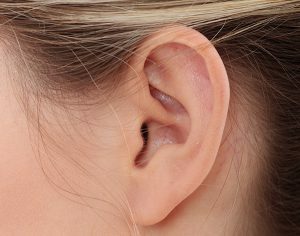 Furthermore, in many cases, the procedure can be performed in the office with local anesthetic with the patient fully involved in determining the final position and shape of the ear. Book an appointment to discuss Otoplasty with Dr. Brace and he can counsel you on the appropriate technique and maneuvers required to achieve a natural appearing, less prominent ear.